When it comes to planning your trade show exhibition stand, understanding the costs can be overwhelming. How much does a stand cost? Why do I need to pay that much for a display? How much should I be paying? These are common questions thrown around within the consumer and trade show industry. There is no exact answer to how much a stand costs and neither us or anyone else can give you one. The cost of your stand will depend on what you want to include in your design and functionality, which will be based on your company’s exhibition goals. What we can do is help you understand and determine which areas of a stand you should be investing in and how much that will cost you. Having a clear understanding of expo stand prices will help you decide on a budget that will allow you to achieve your design ideas and overarching goals. Don’t wasting time and energy contacting stand buildings and communicating with a designer until you have an idea of pricing. This will help you allocate a budget that gives you the flexibility to achieve what you want and avoid being overwhelmed with unexpected figures. The answer to this question is both yes and no and will largely depend on your goals. Yes, investing in a stand is necessary if you want a higher success rate. Spending more money on better graphics, raised flooring, downlights, signage, audio and visuals will help your stand attract attention, thus increasing your opportunities for sales or leads. No, not every stand needs a six-figure budget. If your spending’s are limited, you have the option of using a shell-scheme stand. These stands are used for smaller spaces and are usually simple, but they can be customised with graphics and furniture. 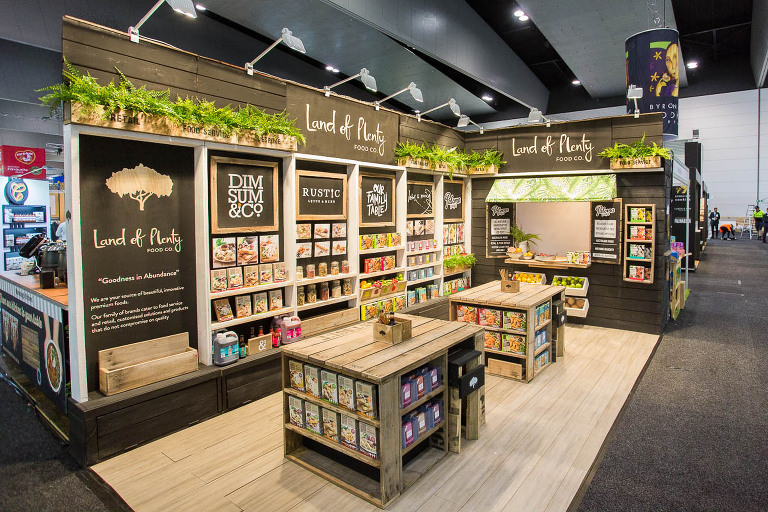 Whilst you can save on having a smaller or simpler stand, you will need to have a minimum budget of $15,000 - $20,000 to have a stand worth exhibiting. These are some of the factors you need to consider when deciding whether your business should exhibit. Anything and everything will cost you. Stands aren’t created overnight. They are designed by creative and experienced designers who put great thought into making sure you receive a design that you love. Then they are built by skilled cabinetmakers who work hard each day to produce a stand of high quality and exactly to the design. This is a process that takes time, effort and materials, and it’s also one that will cost you money. Not every stand will require everything listed above, but most of them will. It’s important to understand this when anticipating the cost of your stand. The first step you need to take is booking your floor space. This needs to be completed through the expo organisers. Whether or not you choose to include this in your overall exhibition stand budget is up to you, but it will set you back between $ and $ per square metre. This is an absolute must for your stand. The process of designing a stand is more complicated than some think. They need to be suitable for production to actually make them. Your designer will work with you to create a design that meets your business needs and your budget. Make sure you communicate openly with them about what you can and cannot afford. A great design can increase foot traffic through your stand and provide opportunities for connecting with prospects. Invest time and effort into developing a great design brief for your designer. Trust that they will stick to your brief the best the can and create an excellent design. To prepare a design brief you can begin reading our whitepaper titled ‘How to create the ideal design brief’ and follow the process we’ve outlined for you. This piece has everything you need to know about how you can brief your designer to make sure you receive a design that resonates with your business’s goals and values. Costing an exhibition stand is not always about the dollar cost, it’s also about the value of service you receive throughout the process. This includes anything from the designing and manufacturing, to the installation and storage. You’re not just purchasing the individual stand, you are purchasing the expertise and services of your exhibition builders. Their job is to help you have a smooth-running expo and start kicking your goals. Below is a guide designed to help you understand the elements that go into building an expo stand and their costs. Check out our previous blog post that goes over this in more detail and helps you develop a stronger understanding. Typically, the more money you spend the higher quality you can expect to see on your stand. Of course, you don’t have to spend large amount on every area. Allocate your budget to each component carefully. For example, if you want amazing lighting to enhance your stand then perhaps assign a smaller portion of your budget to the flooring. It’s not ideal to cut costs entirely or partially if unnecessary. Don’t spend the minimum amount on graphics just because you don’t want to. Every component of a display is just as important as the next. There may be some areas that aren’t required for your stand, such as AV hire, and these can be avoided in the final price. However, most of the factors mentioned in the guide are required and worth investing in. We highly recommend including transport and installation in your budget as display stands can often be difficult to assemble if you are not familiar with them and this can waste valuable time at an expo for your business. If you trust your exhibition suppliers, invest in them. We strive to make exhibitions easy by doing the hard work you. And you can’t put a limited dollar figure on that kind of service. Now that you have a guide to costing an expo stand, you should be off to a great start. Clearly communicate your budget with your designer and stand builders – they need to know this to ensure they create a stand that gives you the best value for your money. After you receive a design from your designer, you will receive a detailed quote outlining what each component costs. It’s good to be a little flexible with your budget. Trust that your supplier knows where you should be spending your money and will help you the best they can along the way. To make budgeting simple, we've created a budget template for you to use. You can access the template here. As always, the Events 720 team are here to answer any budget or pricing related questions you may have. All you need to do is send us an email on letschat@events720.com or click the 'Let's Chat' box below.